When Enzo Ferrari proclaims that ‘it is the most beautiful car ever made’ you might be onto something. Ferrari said this at the unveiling of the E-Type at the 1961 Geneva Motor Show. And well, as they say, the rest is history. 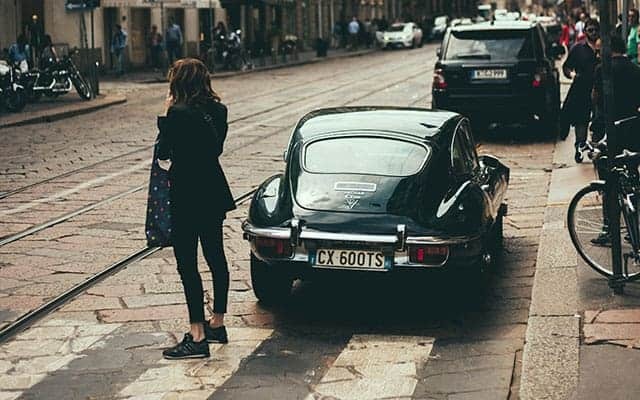 The E-Type has had both schoolboys and playboys drooling over its curves for well over 50 years. The gaping mouth as if it needs to take in so much air at high speed, the low slung body that hugged the tarmac, the shark like profile, the bulging bonnet and the gutsy roar all add up to something really rather special. Consequently it frightened the hell out of established premium sports car manufacturers like Aston Martin and Ferrari. The E-Type price was on the low side, almost half of its competitors, where as its speed was on the high side, 149 MPH to be exact. Making it also the fastest production car of its time. Above all, it was the car that changed the game and has been proclaimed the greatest British car ever made, beating even the ubiquitous and egalitarian Mini in a poll. It all began with a sports car of impeccable standing; the D-Type. A car that won three Le Mans in on the trot in 1955, 56 and 57. Malcolm Sayer was given the task to create a road legal version that lost none of its track heritage. Malcolm Sayer was obsessed with aerodynamics: he had worked with de Havilland and Bristol Aeroplane Company during the war and applied the techniques from aircraft manufacturing to the E-Type. Lightweight construction and meticulous aerodynamic design. His depth of knowledge and methods left most of his colleagues baffled. The other major player in the rise of ‘THE’ machine was Sir William Lyons, the company founder. He drilled with precision his team to create something out of the ordinary. He orchestrated him team to greatness. Overseeing the design and mechanical process. The formidable partnership of Sayer and Lyons was a perfect storm that created a perfect car. A car so desirable that within the first day of the Geneva Motor Show they had sold 500. And then at the New York Motor Show 6 within 30 minutes, furthermore Frank Sinatra on setting eyes on the E-Type for the first time claimed ‘I want that car and I want it now’. At the Geneva Motor Show Jaguar only had one E-Type on show and realised they had something special on their hands got the head of testing to drive another down there. 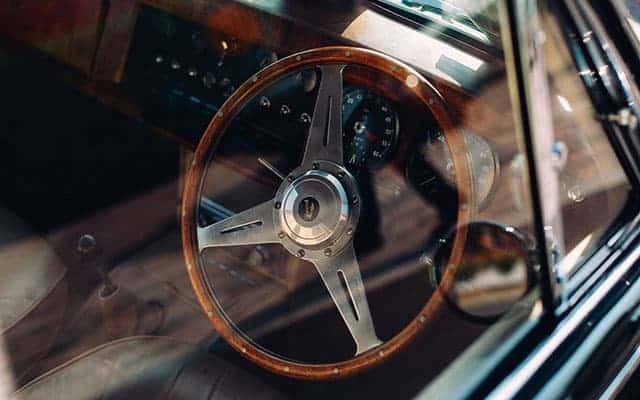 Norman Dewis drove through the night from Coventry to Geneva, so that the masses of people who wanted to test drive it could get behind the wheel and feel the purr. 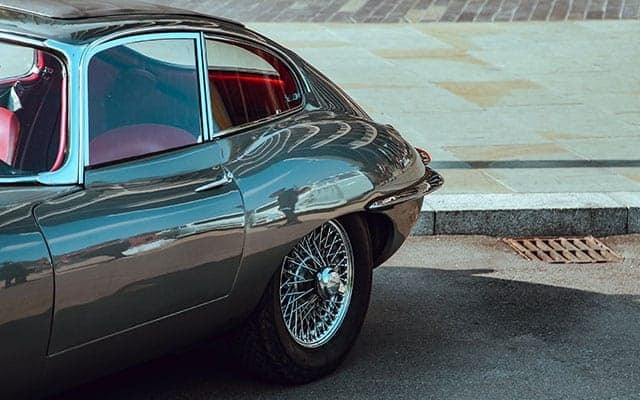 As those who first set eyes on it in 1961 will testify, it doesn’t matter which angle you look at the E-Type from, it is jaw dropping. It seems to get more beautiful the more you look at it. Sitting in one made you feel like you had made it. The elongated bonnet stretching out into the distance, making the bulge look like the rising sun on the horizon. You became king of all you surveyed. 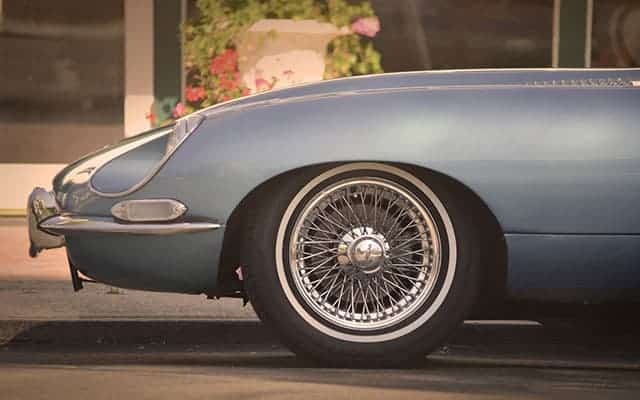 I had the pleasure to drive a friend’s silver 2+2 E-Type from Palm Springs, through Joshua Tree park and onto L.A. The looks, even now that it gathers are incredible. Women wave, men punch the air or give you the thumbs up. It never fails to turn heads. Even when stuck on the freeway at rush hour. Which is why it has been the default go to sports car for any self respecting superstar. From Twiggy to Steve McQueen through to Brigitte Bardot and of course the man who spent most of his money booze, birds and fast cars; George Best, who claimed that he squandered the rest. Spending your money on one of the 72,007 that came off the production line is certainly not squandering by any stretch of the imagination.